At OC CyberKnife, our mission is to provide quality, convenient cancer treatment to patients throughout the greater Orange County, CA area. If you or someone you love are currently battling cancer, we know how much of a challenge that can be – but no matter what you’re up against, we’re here to help. 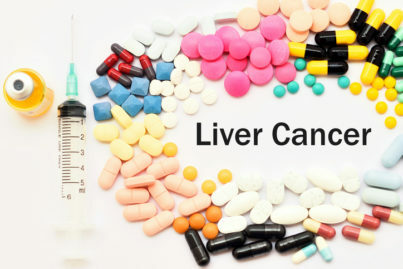 We offer a variety of treatment options at our cancer center, including a variety of options for treating liver cancer. Blood tests: These may include tests for alpha fetoprotein (AFP), which can indicate liver cancer. Additional blood tests may evaluate the function of the liver. CT Scans: These are often the most reliable for determining how serious liver cancer is. Ultrasound: A machine that uses sound waves to create images of structures inside the body. Angiogram: In this test, your doctor will inject dye into an artery that allows the blood vessels of the liver to show up on an x-ray. Biopsy: Your doctor will remove a sample of tissue from the liver through fine needle aspiration, a core biopsy (which takes a larger tissue sample), laparoscopy (which involves a small incision), or surgical biopsy. Often, your doctor will choose to combine two or more treatment options for the best possible chance at recovery. No matter what treatment course you and your doctor decide on, we’ll work with you to help make treatment as convenient as possible. Getting diagnosed with liver cancer or any other form of cancer is one of life’s most frightening experiences – but we’re here to help. As a leading cancer treatment center in Orange County, we’ve helped countless patients beat even the most severe cancers, and we would love to do the same for you. Contact us today to schedule a consultation. We’ll help you start the road to recovery, beat your cancer, and reclaim the healthy, normal life you deserve.